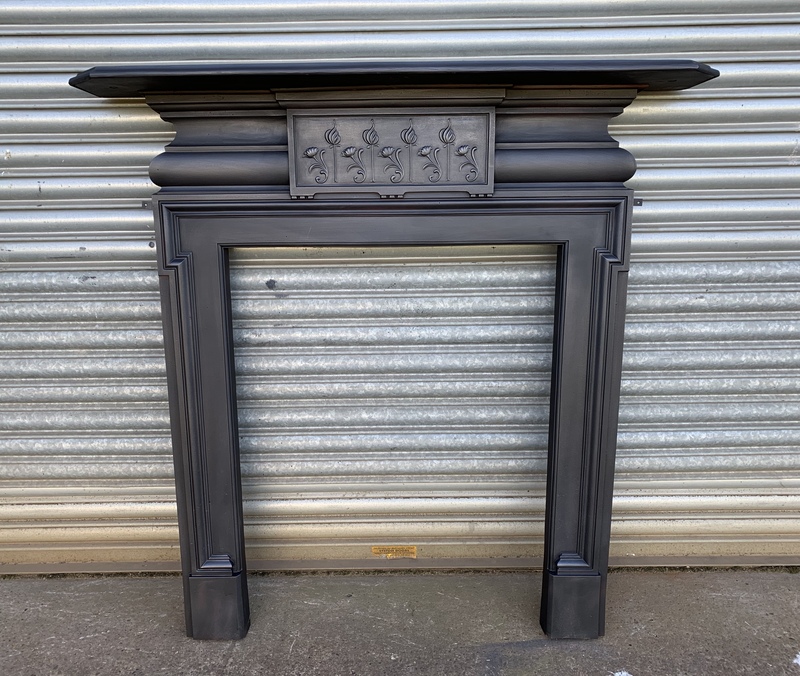 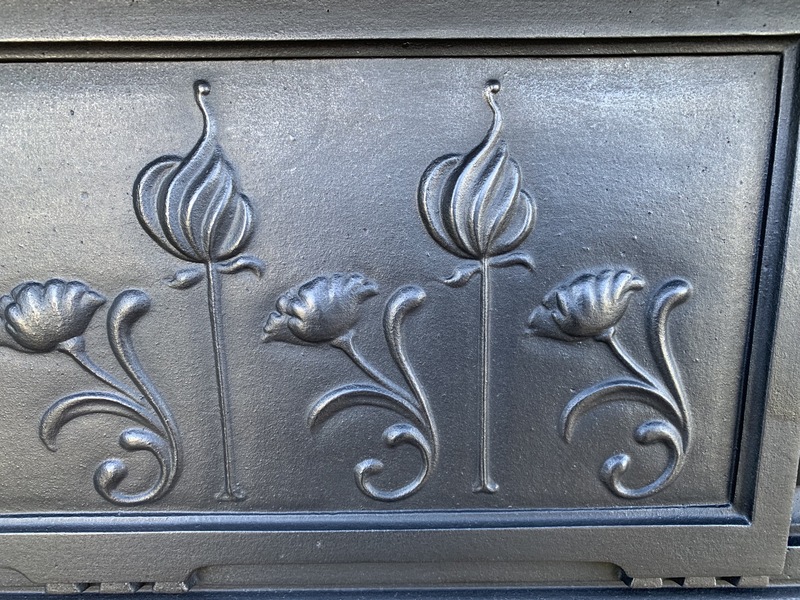 A slightly smaller original antique Art Nouveau / Arts and Crafts cast iron fire surround fireplace. 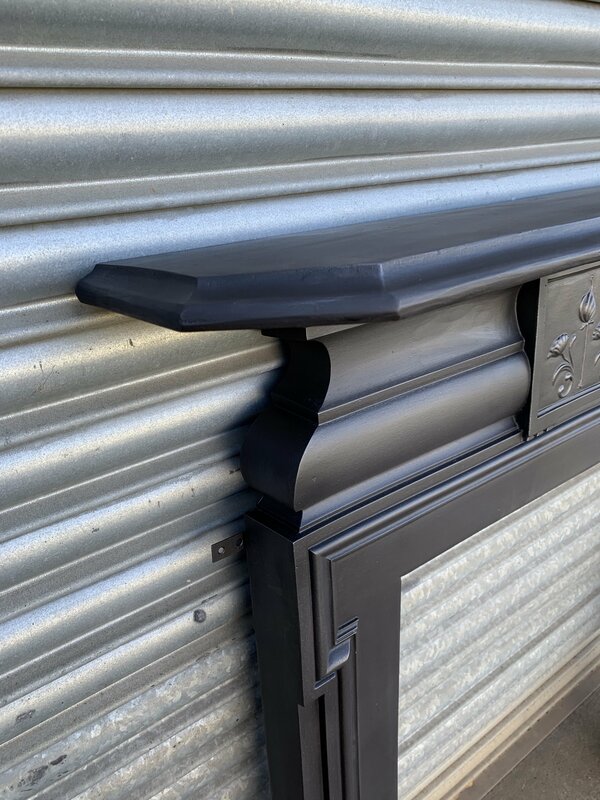 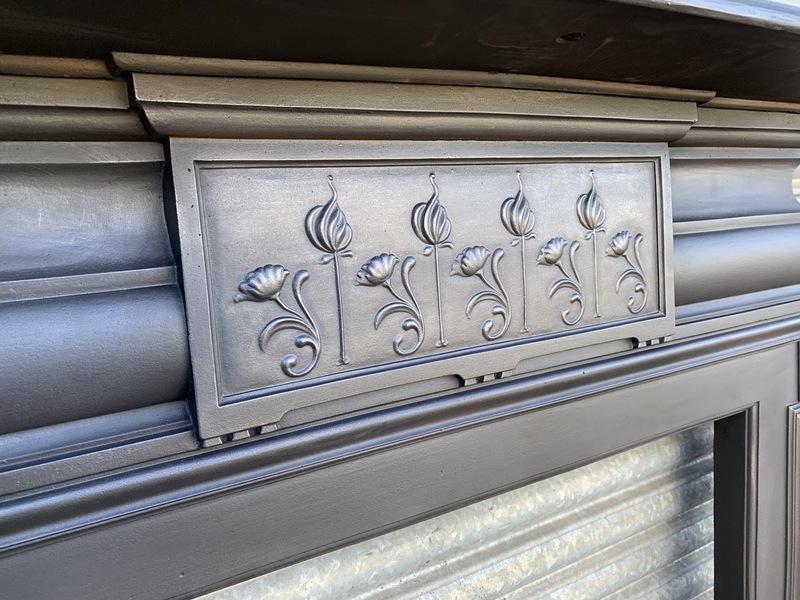 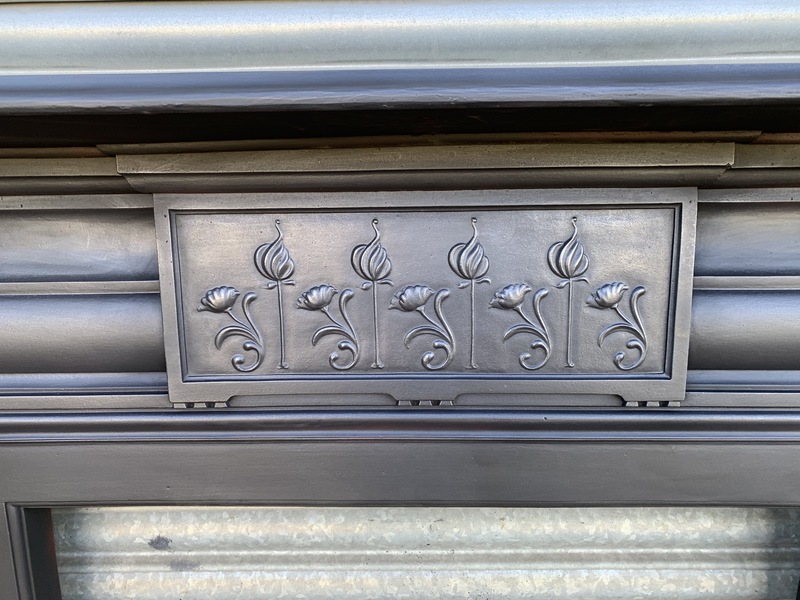 This has a beautifully cast floral tablet to the front and an angled mantle shelf. 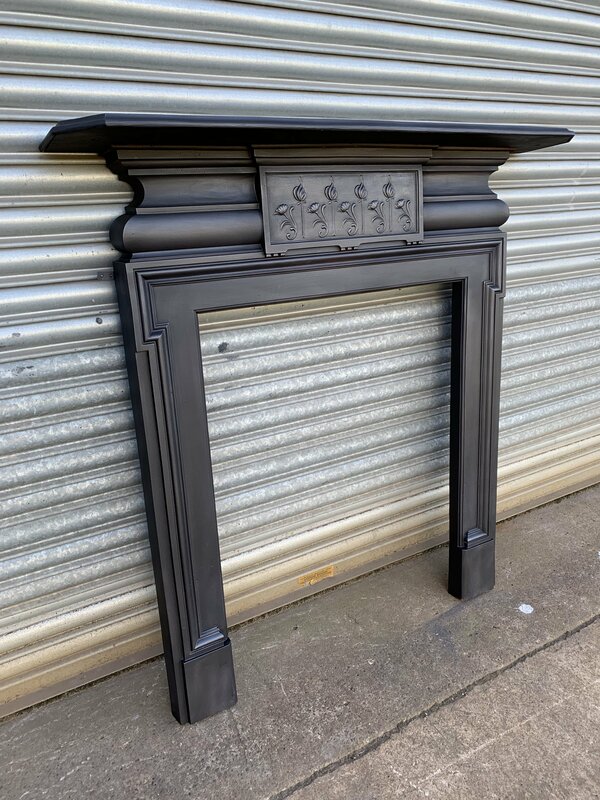 this smaller size would look great around a log burner and suit most size rooms. 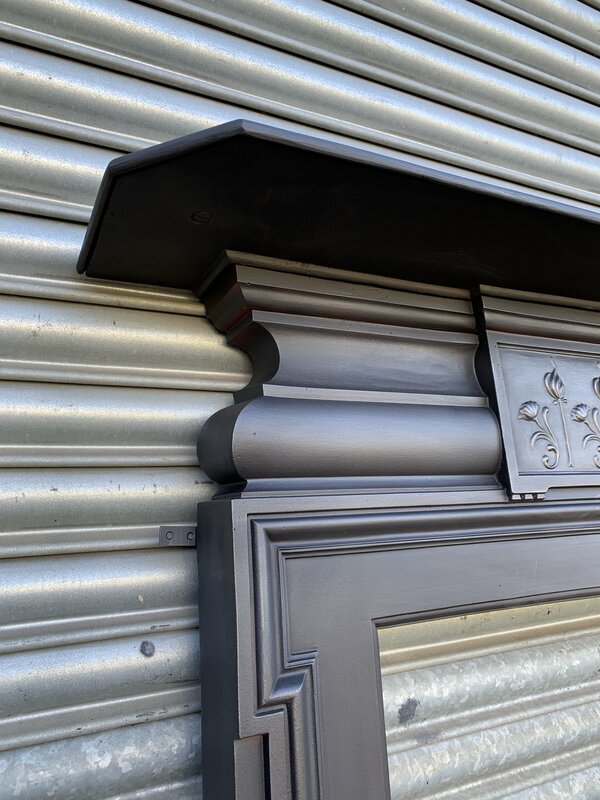 Contact us on 07885 379772 or message below for more information.